Choosing an attorney for any type of legal issue is often a challenging task. The need to find the right estate planning attorney increases given the importance of your estate plan. 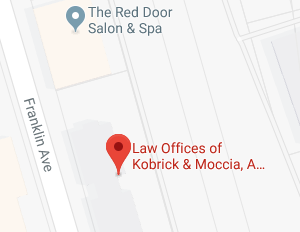 The estate planning attorneys at the Law Offices of Kobrick & Moccia are proud to serve the residents of Garden City, New York with their estate planning needs and we hope to have the chance to help you with yours. If you are a resident of Garden City, you are likely already aware that the town has a rather unique history. In 1869, the Irish-born millionaire Alexander Turney Stewart purchased a portion of Hempstead Plains which, at the time, was still largely unpopulated grasslands. Stewart and his wife, Cornelia, went on to create or establish the Central Railroad of Long Island, St. Paul’s School for boys, St. Mary’s School for girls, a Bishop’s Residence and the Gothic Cathedral of the Incarnation, which is today the center of the Episcopal Diocese of Long Island. In 1910, Doubleday, Page, and Co., one of the most world’s important publishers, moved its operations to Garden City. As a result, many of the company’s executives also moved to the area and built elaborate homes. In 1919, Garden City officially became an incorporate village, as it remains today. Throughout the middle of the 20th century, Garden City continued to grow as people moved out from the city to the suburbs. In 1978, 50 of the original structures collectively known as the A. T. Stewart Era Buildings were designated a national historic district and listed on the National Register of Historic Places. Located on Long Island, east of New York City and approximately 18 miles from downtown Manhattan, the Village of Garden City is home to just over 22,000 year-around residents. The Irish legacy remains strong in Garden City with about 40 percent of the residents identifying themselves as being of Irish decent today. The Village of Garden City retains is quaint character and history over a century after it was founded. Residents enjoy the neighborhood feel of a small town while also availing themselves of the entertainment, dining, and shopping options the Big Apple has to offer just a short train ride away. A well thought out estate plan should protect you, your loved ones, and your assets both now and in the future. To do that, however, care must be taken in both the creation of that plan as well as in updating that plan. Choosing the right estate planning attorney to assist you is a crucial part of creating a personalized and successful estate plan. The attorneys and staff at the Law Offices of Kobrick & Moccia are honored to be able to assist their neighbors in the Garden City community with their estate plans. Unlike many other legal issues, estate planning is not something that is ever really finished or “resolved.” In fact, when estate planning is done correctly, it is a lifelong process that creates a plan that changes and grows along with the plan’s creator. Just as you experience changes during each phase of your life, so should your estate plan change along with you. At the Law Offices of Kobrick & Moccia, we would be honored to be chosen to be by your side throughout your life’s journey to make sure that you, your assets, and your loved ones are protected. If you have additional questions regarding the estate planning process, or would like to get started on your Garden City estate plan, contact an experienced estate planning attorney at the Law Offices of Kobrick & Moccia by calling 800-295-1917 to schedule your appointment.